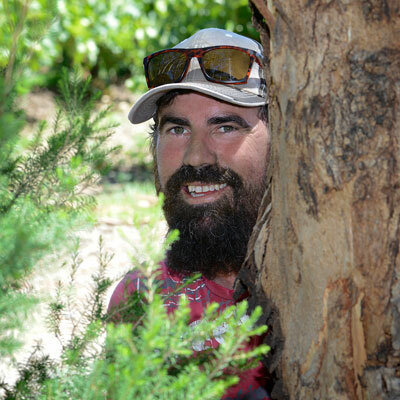 James King, AKA Woody has been with us for quite a number of seasons now and works tirelessly in the winery with Nairn during the off season and then in the vineyard and winery during the silly season – harvest, or vintage as we call it. He is hard to get a photograph of – not unlike a shy, gentle woodland creature keeping to the shadows of a tall tree in the forest. Which is how the guys came up with the name.